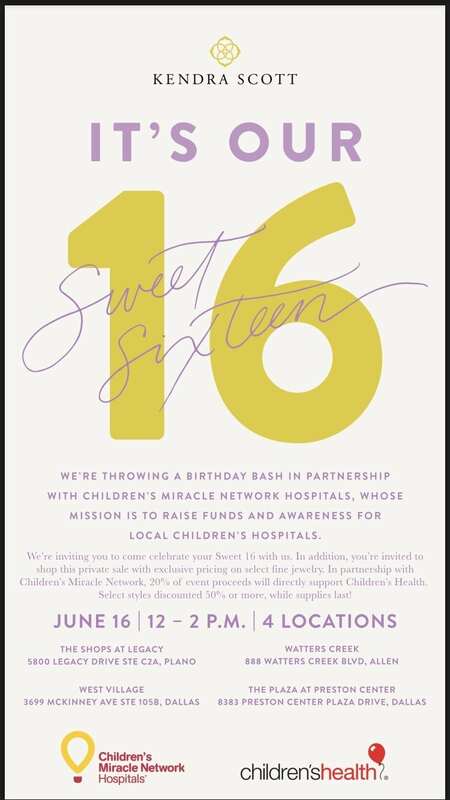 June 14, 2018 | By Fatima V.
Kendra Scott, Children’s Miracle Network, and Children’s Health cordially invite you to attend our Sweet 16! 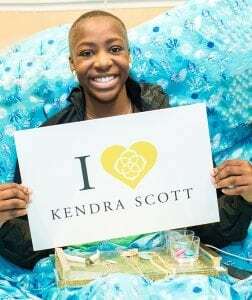 Dewini Jituboh, a patient of Children’s Health, had her first Kendra Scott experience with Children’s Health the day she was being released after being newly diagnosed with cancer. Throughout her treatments at Children’s Health Dewini has attended several Kendra Scott events. She will be celebrating her Sweet 16 this Saturday at the Allen location. She is very excited to share her Sweet 16 with Kendra Scott and looks forward to meeting fellow Kendra Scott fans.